Tesla’s Model 3 plans for Europe are on a fast track as the automaker reportedly aims to deliver 3,000 Model 3s per week to Europe, starting February 2019 — as we have reported earlier that the European Tesla Model 3 will have a CCS charge port instead of a Type 2 connector used in North America. 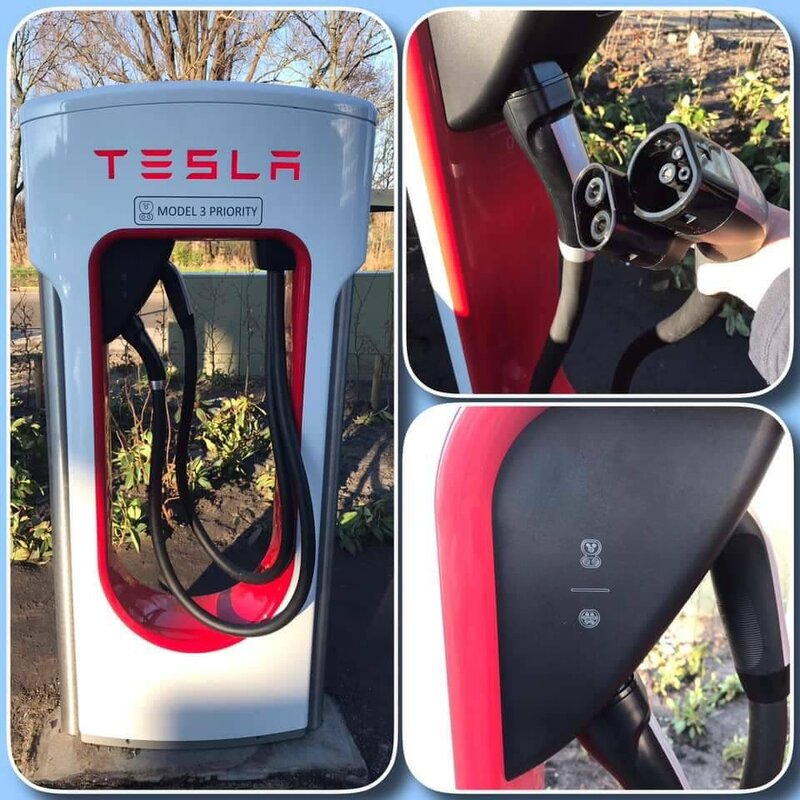 Now we have got the first look at a Supercharger station where Tesla has retrofitted the charging stalls with dual cables, the existing SuC Type 2 and the new CCS connector, so all Tesla Model 3, Model S and Model X are able to charge from the same station simultaneously (photos below). The benefit of having a CCS charge port on Model 3 is the availability of a wide variety of DC fast-charging stations other than Tesla Superchargers, like Ionity stations with 350 kW/200-950V/500A capable chargers (Ionity in action video below). 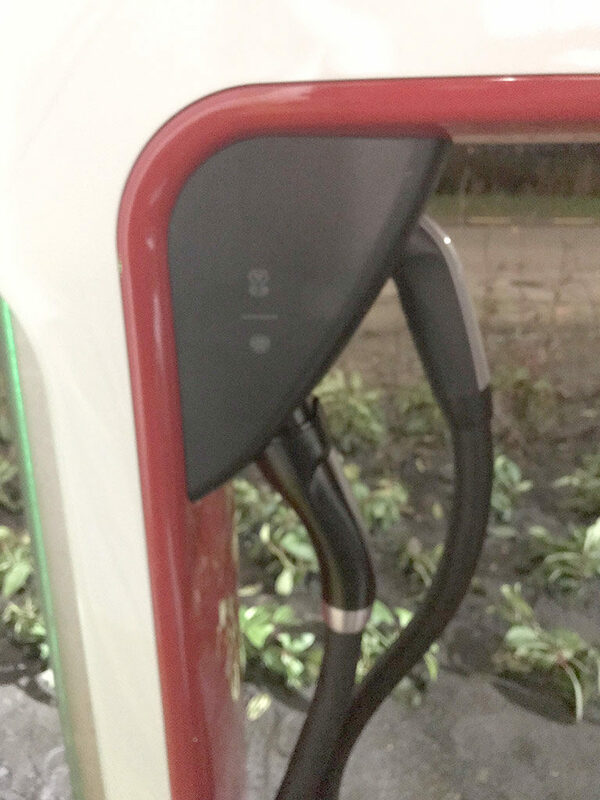 Tesla Supercharger stalls retrofitted with CCS connector cables are labeled as ‘Model 3 Priority’ on the top, this represents that these chargers are fully compatible with Tesla Model 3 European version and Model S and Model X owners should give priority to Model 3 owners while charging. Let’s take a look at the pictures, we tried to improve the quality of the phots but these are the ones available right now. 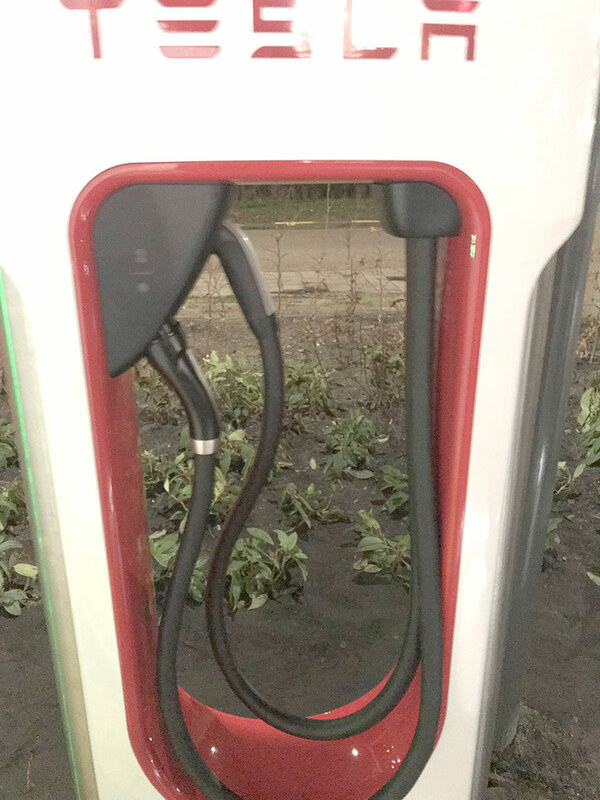 The pictures taken above are from the Netherlands where we saw a few Model 3s with the European CCS charge port and charging with a Tesla Destination Charger a few days ago. 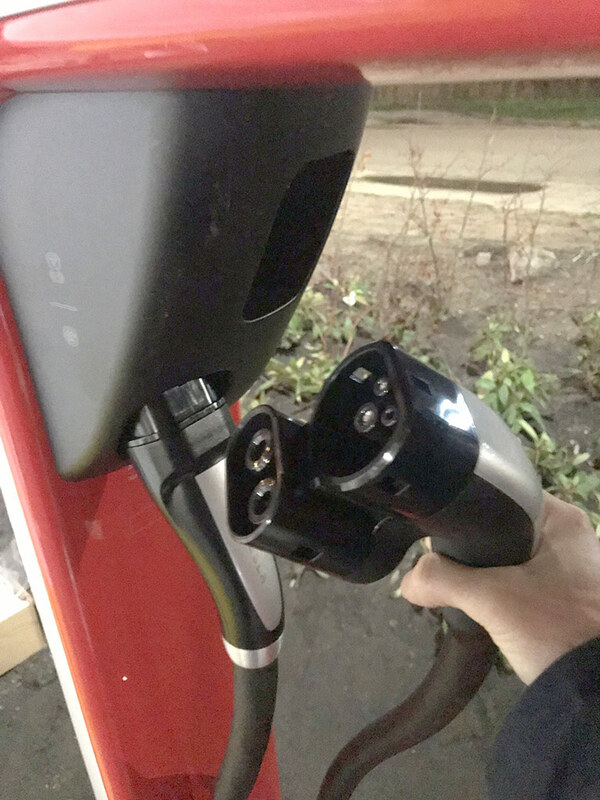 After 2.5 years of the first Model 3 unveil event, European reservation holders are now able to order their vehicles, currently, European Model 3 orders are limited by invitation-only and with the massive anticipation the charging infrastructure needed an upgrade and Tesla might just have taken the right step. Tesla Model 3 has been on display in several cities across Europe for a few weeks now and you can visit the nearest location to experience the electric car of the future (Photo Gallery 1 | Photo Gallery 2). A select few Tesla showrooms in the UK are also showcasing the Tesla Model 3 as of now, like at the Royal Park Tesla Store in London (photos). European Tesla Model 3 reservation holders are also able to get 6 months of free Supercharging on their order, which is a great perk but you need to follow some steps to get the perk (explained here). Let’s look at the first Ionity 350 kW DC fast charging station from Norway in the following video, do let us know your thoughts about ‘Tesla Model 3 Europe’ in the comments section below.